Glenn and Susie start discussing the WWDC keynote, but they have so much to say they only get through iOS 9 and watchOS 2. Tune in next week for the rest! 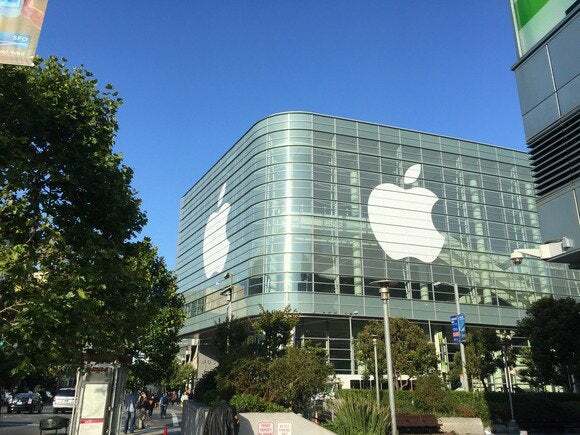 So Apple is having an event this week, close enough to Macworld HQ that we can see the giant Apple logo plastered to the side of Moscone West from our windows. Susie was lucky enough to attend, and she and Glenn reconvened the next day to unpack everything Apple announced for our faithful podcast fans. Wait, did I say “everything”? Ha, hardly. In an effort to make our discussion of the WWDC keynote far longer than the actual keynote itself, we only made it through about half on this week’s podcast, which mainly covers iOS 9 and watchOS 2. Tune in next week for more about OS X 10.11 El Capitan, Apple Music, the News app, and whatever else we can cram in before our microphones melt and Skype crashes our Macs (again). Special thanks to this week’s sponsors. For a limited time, get up to 80 percent off a selection of digital lessons by The Great Courses. Visit thegreatcourses.com/macworld. Red Hat makes enterprise software trusted in the world’s most demanding data centers. Find out what they can do for yours at redhat.com.